This peculiar speaker is not made for living rooms in Park Avenue and Kensington Gardens mansions. 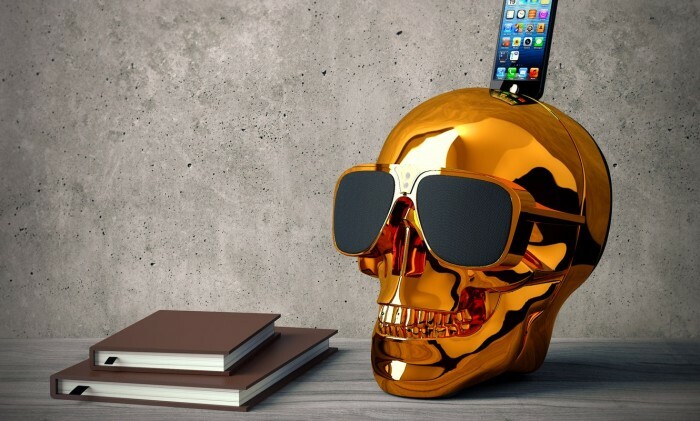 A creation of Berlin-based Jarre Technologies, the Aeroskull HD Bluetooth dock is surely made to wake your inner weirdness. 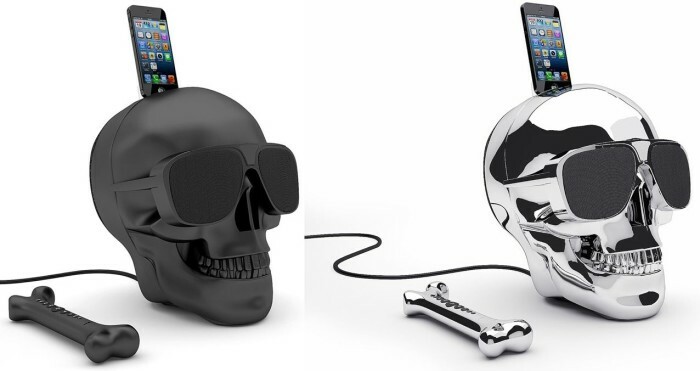 The unique skull-shaped speaker, made for iPhones and iPods comes with an unofficial guarantee to double up as a conversation piece among young bucks with an ear for music. 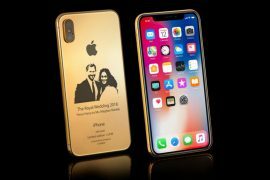 For the price of €399 (approx. $550), Jarre offers you a one-of-a-kind speaker with top sound quality in HD. It has two 15 Watt speakers hidden behind those stylish sunglasses. Its 40 Watt Sub-Woofer is hidden in the back of the skull along with the 1% THD (Total Harmonic Distortion) ensuring the delivery of great sounds for a wonderful listening experience. Delivering great sounds comes naturally to Jarre Technologies as the company is founded by French new age music pioneer Jean Michel Jarre. 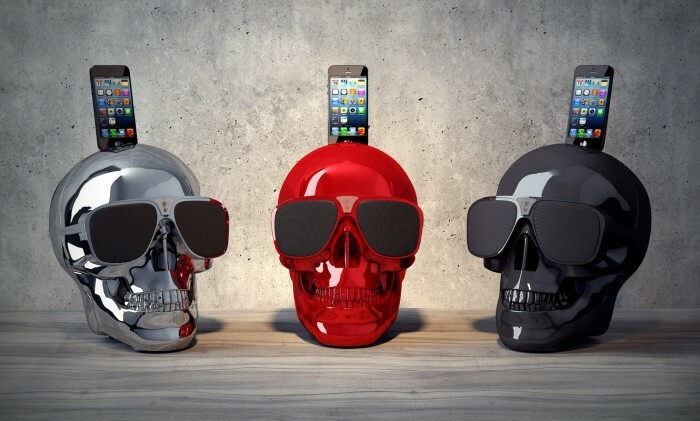 The Aeroskull HD is available in no less than 11 colors with all but four in candy colors. They are made from ABS Chrome plate plastic and hand painted. 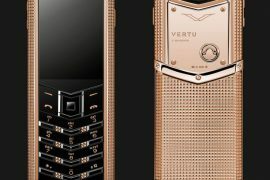 It comes with a bone shaped IR remote control with backlight.